Monaco, officially the Principality of Monaco, is a sovereign city-state and microstate, located on the French Riviera in Western Europe. France borders the country on three sides while the other side borders the Mediterranean Sea. Monaco has an area of 2.02 km2 (0.78 sq mi) and a population of about 37,800; it is the second smallest and the most densely populated country in the world. Monaco has a land border of 4.4 km (2.7 mi), a coastline of 4.1 km (2.5 mi), and a width that varies between 1,700 and 349 m (1,859 and 382 yd). The highest point in the country is a narrow pathway named Chemin des Révoires on the slopes of Mont Agel, in the Les Révoires Ward, which is 161 metres (528 feet) above sea level. Monaco's most populous Quartier is Monte Carlo and the most populous Ward is Larvotto/Bas Moulins. Through land reclamation, Monaco's land mass has expanded by twenty percent. Although small, Monaco is very old and quite well known, especially because of its status as a playground for the rich and famous; who themselves become a spectacle for tourists and an economic engine in the Mediterranean. In 2014 it was noted about 30% of the population was made up of millionaires, similar to Zürich or Geneva. Monaco is a principality governed under a form of constitutional monarchy, with Prince Albert II as head of state. Although Prince Albert II is a constitutional monarch, he wields immense political power. The House of Grimaldi have ruled Monaco, with brief interruptions, since 1297. The official language is French, but Monégasque, Italian, and English are widely spoken and understood. The state's sovereignty was officially recognized by the Franco-Monegasque Treaty of 1861, with Monaco becoming a full United Nations voting member in 1993. Despite Monaco's independence and separate foreign policy, its defense is the responsibility of France. However, Monaco does maintain two small military units. Economic development was spurred in the late 19th century with the opening of the country's first casino, Monte Carlo, and a railway connection to Paris. Since then, Monaco's mild climate, splendid scenery, and upscale gambling facilities have contributed to the principality's status as a premier tourist destination and recreation center for the rich and famous. In more recent years, Monaco has become a major banking center and has successfully sought to diversify its economy into services and small, high-value-added, non-polluting industries. The state has no income tax, low business taxes, and is well known for being a tax haven. 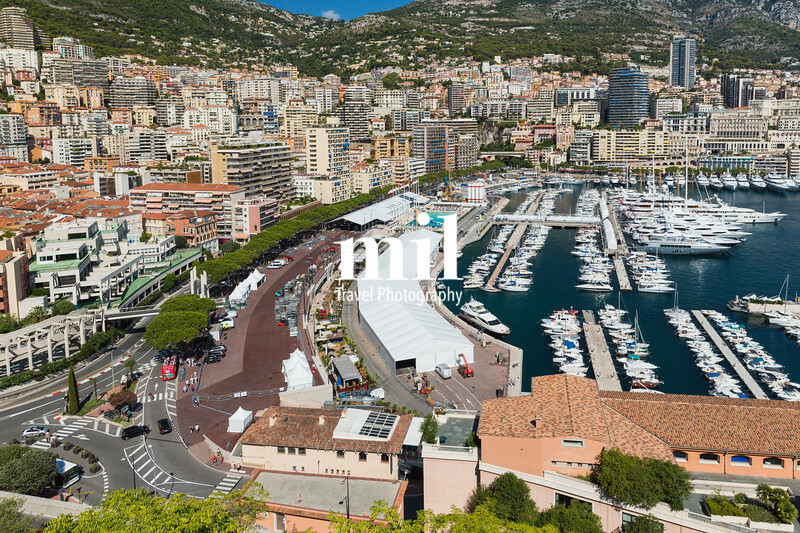 It is also the host of the annual street circuit motor race Monaco Grand Prix, one of the original Grands Prix of Formula One. Monaco is not formally a part of the European Union (EU), but it participates in certain EU policies, including customs and border controls. Through its relationship with France, Monaco uses the euro as its sole currency (prior to this it used the Monégasque franc). Monaco joined the Council of Europe in 2004.